October 2013 - Deb Arnold, Ink. Not one week after sending out my most recent issue of BRAINSNACKS, my smart-n-informative enewsletter, on the topic of VUCA I received an email about…VUCA. Yep. He said a lot of interesting stuff about VUCA but you should read that yourself. Turns out, it was the first of two blog posts from DDI (Development Dimensions International), a global talent management consulting company. The second, [Benchmark Yourself] Is Your Talent Strategy Built for a VUCA World?, by Justin Yopp, promotes their “agile talent management” benchmarking tool. We build multi-level, agile competency models informed by business challenges to support our talent strategy. We recognize talent strategy and systems may become obsolete, so we review them at regular intervals based on dynamics of external environment. Seems like a pretty good list of things to, at a minimum, be thinking about. How much faster can we all go? Jacqueline Burandt, senior director of the Center for Learning Excellence at University Health System, a nationally recognized academic medical center in San Antonio, Texas, knows a thing or two about winning awards. She has led her team to win multiple prestigious learning awards over the years, including the Chief Learning Officer magazine LearningElite Award, Training magazine Top 125 Award and the American Society for Training and Development’s ASTD BEST Award. I recently saw Jacque give an outstanding session at the ASTD Learn from the BEST event in Washington DC during which she emphasized the importance of winning awards. Afterward, an attendee asked her why. If only I’d whipped out my iPhone then and there to capture her response on video! But because Jacque is kind and generous, she sent her thoughts over to me, and here they are (thank you!). I am often asked why I take the time and effort to submit award applications. Is it really worth the effort? There is no doubt that writing award applications is a large investment of time and labor. Although as with most investments, there can be a really big, long term pay off. The reason I choose to invest in submitting award applications is that I have repeatedly seen the value to my organization and to my department. TOMA (Top of Mind Awareness) for our brand. When you think of a top health care organization or learning department, you’re more likely to think of us. Recruitment of staff for our organization. An award-winning learning organization is seen as a crucial part of any benefits package in attracting new staff in the highly competitive workplace market. Recruitment of learning professionals. Every time we interview new candidates to our department, they mention having been to our website and having been impressed with the many prestigious awards we have won. Differentiation. Winning awards causes us to stand out from other organizations. Staff morale builder. Staff are proud to announce their employment at an organization that wins awards. Benchmarking. As an award-winning learning organization, we are frequently contacted by other organizations and are able to share our successes and network. Free publicity. Most award applications have minimal application fees. The resulting free press in trade publications, local and national news stories, etc. is truly invaluable. Respect in the C-Suite. Executives love to see their organization recognized. Awareness of areas to improve. In receiving feedback on the applications, we learn where we can do better. 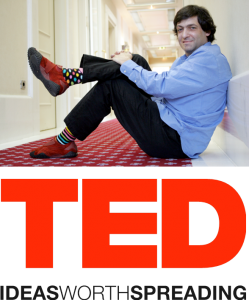 And it’s posed by none other than behavioral economist Dan Ariely in a TED Talk I came across recently. I found it absolutely fascinating, as I generally do with Ariely (you’ve got to admire a guy who appears regularly both on NPR and in the Wall Street Journal). Turns out, Sisyphus really did get a bum deal. What motivates us to work? Contrary to conventional wisdom, it isn’t just money. But it’s not exactly joy either. It seems that most of us thrive by making constant progress and feeling a sense of purpose. If you’re wanting to better understand what makes you–and/or the people who work for (or with) you–feel enthusiastic about work, take 20 minutes and watch.